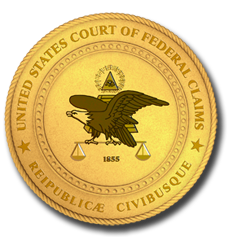 Judge Firestone was appointed Judge of the United States Court of Federal Claims on October 22, 1998. She graduated from Washington University with a B.A. in 1973, and she received her J.D. in 1977 from the University of Missouri - Kansas City Law School. Judge Firestone formerly was Deputy Assistant Attorney General in the Environment and Natural Resources Division of the U.S. Justice Department from 1995 - 1998. She also served as a Judge on the Environmental Protection Agency's Environmental Appeals Board from 1992-1995. Prior to that, Judge Firestone was the Associate Deputy Administrator of the Environmental Protection Agency from 1989-1992. Before serving at the Environmental Protection Agency, Judge Firestone was an attorney with the U.S. Department of Justice. Judge Firestone is also an adjunct professor at the Georgetown University Law Center.